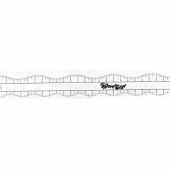 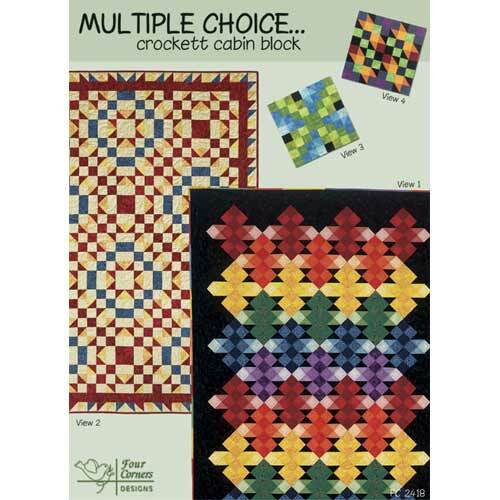 These variations of Crockett Cabin are strikingly different. 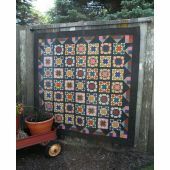 View 1 makes a statement with bright primary colors on a black background. 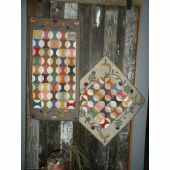 View 2 suggest a simpler design, yet both are made from the same basic block. Take your choice! 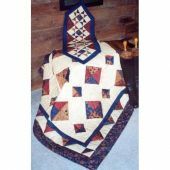 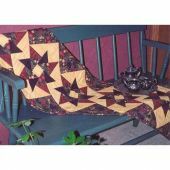 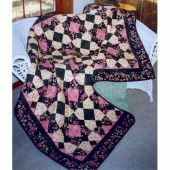 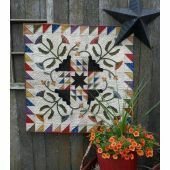 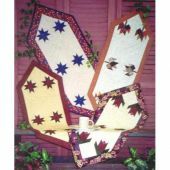 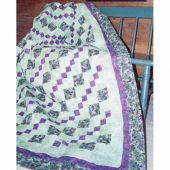 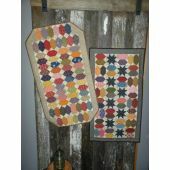 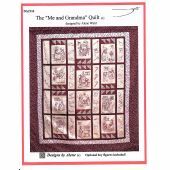 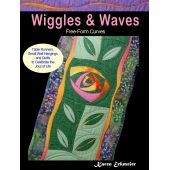 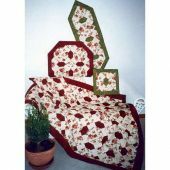 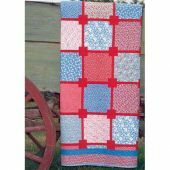 Pattern includes complete instructions for two quilts, a pillow, and a table topper/wall quilt.